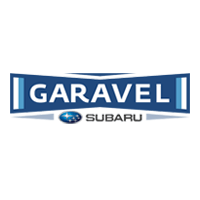 Drivers in Westport and Wilton looking for Subaru cars for sale or wanting to find a sporty Subaru SUV for sale can find what they are looking for at Garavel Subaru. Browse our inventory below to find your favorite to buy or lease. If you are still doing your research, compare the competition like Subaru vs. Honda, or the Subaru Outback vs. Toyota Highlander. Drivers in Westport and Wilton looking for Subaru cars for sale or wanting to find a sporty Subaru SUV for sale can find what they are looking for at Garavel Subaru. Browse our inventory below to find your favorite technologies, like Subaru STARLINK™, on the latest models to buy or lease. If you are still doing your research, compare the competition like Subaru vs. Honda, or the Subaru Outback vs. Toyota Highlander. Our new lounge with free wifi and a free breakfast bar! Feel free to contact us with any questions, then schedule a test drive so you can start enjoying your next Subaru!